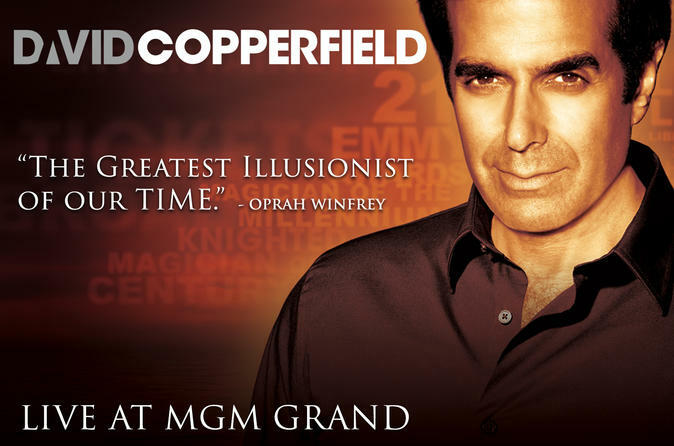 Come and see legendary showman, David Copperfield, perform at MGM Grand Hotel and Casino. After decades of television specials, worldwide tours and a critically acclaimed Broadway show, Copperfield continues to impress audiences with his unbelievable illusions and charming stories. Experiencing a Copperfield show is proof that "magic is as vast as the imagination." Master illusionist, David Copperfield, is a household name when it comes to the Las Vegas magic scene. Don’t miss your chance to see him perform inside the David Copperfield Theater at the MGM Grand Hotel and Casino. While no performance is exactly the same, watch as Copperfield re-creates some of his famous illusions such as him walking through the Great Wall of China. He’ll also feature his own spin on some classic magic acts. Audience interaction is a big part of the show as he incorporates a person picked at random for almost every illusion. You might even see him doing magic right in front of your seat when he performs illusions while standing in the audience! Special Offer - Book and save on select dates for Matinee shows! - Book Now!